BlaBlaCar has built a long-distance carpooling community of over 65 million members in 22 countries. Since August 2017, it has helped to transport 50 million passengers worldwide, growing 40% year-on-year. The platform now wishes to complement its vast carpooling offer with buses, and become the go-to global marketplace for intercity road travel. 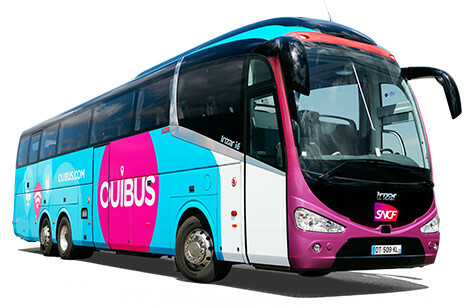 Over three years of strong growth, Ouibus has built a bus network connecting 300 large cities in France and Europe, and has transported more than 12 million passengers. BlaBlaCar connects more than 30,000 meeting points across France alone. By combining these two complementary travel solutions, BlaBlaCar will further develop shared mobility across all axes, optimise vehicle occupancy rates for buses and cars, and offer a convenient door-to-door solution for travellers. The acquisition project would enable BlaBlaCar to widen its offer, which will also be open to other local bus partners and operators across Europe. It would increase its ability to address differing travel needs such as advance and last-minute booking, price sensitivity and destination granularity. The platform expects significant cross-selling from this enriched offer, benefitting casual car drivers wishing to share their rides as well as bus partners distributing trips on BlaBlaCar. BlaBlaCar is also announcing a €101 million investment involving SNCF and existing investors. This investment supports BlaBlaCar’s ambition to become the go-to global marketplace for road travel. Together, SNCF and BlaBlaCar will look into building an intermodal travel solution in France, spanning carpooling and buses together with trains. BlaBlaCar and SNCF share the ambition to develop shared mobility at scale whilst limiting the single-occupancy of vehicles, and both are uniquely placed to deliver a speedy and convenient door-to-door experience for travellers.